The wealth of marketing knowledge available spread all over social media and our digital world can be overwhelming. Add that to the fact that influencer marketing is constantly evolving, and marketers have a really stressful job on our hands. The fact that I may overlook an important post or research report sometimes keeps me awake at night. Wanting to make sure I know everything I’m expected to know about influencer marketing keeps me scrolling through my Twitter feed and asking brands and agencies of all shapes and sizes questions (probably too many questions). To ease my mind about staying up-to-date on influencer marketing news, there are a few very simple habits I’ve formed. 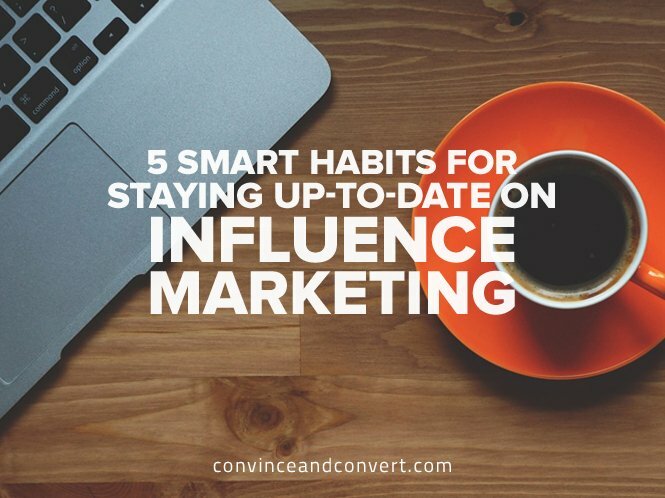 Here are my five favorite ways to stay updated and educated in the world of influencer marketing. Check in on your Google Alerts. These alerts allow me to make sure I get a daily feed of new posts. 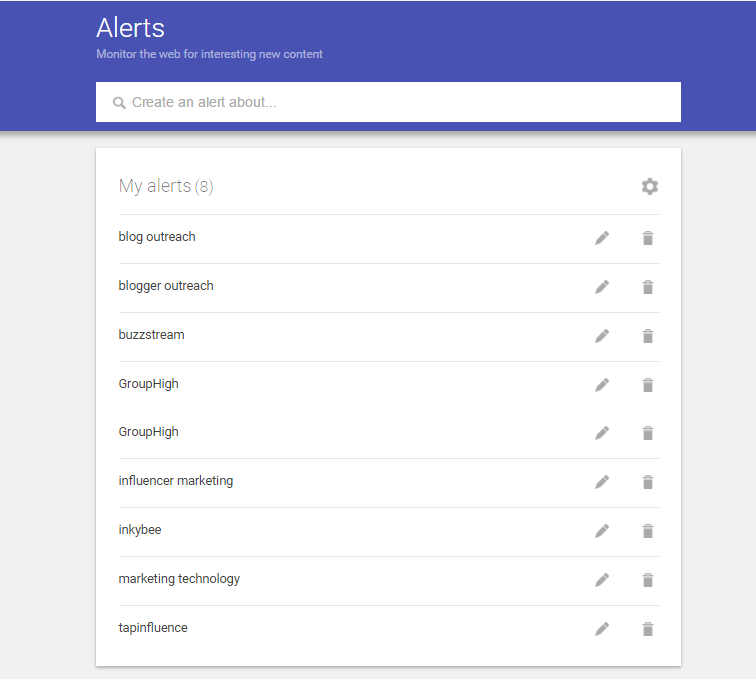 I have eight alerts set up, and they all pertain to influencer marketing and companies in this space. I highly recommend making sure that one of your alerts is “influencer marketing.” The alerts I get for this topic are always great pieces and keep me up-to-date in real time. For GroupHigh, I run a bi-yearly influencer marketing virtual conference. The Outreach Marketing Virtual Summit is by far my favorite thing about my job and an event that keeps me and my network “to-date” on the latest and greatest strategies and creative tactics in the world of influencer marketing. To promote attendance, steer clear of impersonal email blasts. Instead, promote your event through opt-in email channels and personal invitations. Once your event is underway, drive real time engagement with easy-to-share content like Tweetable quotes and data visualizations. What I love so much about virtual events is that they are free to tune into and can be enjoyed from anywhere on the planet with an internet connection. Our next summit is Tuesday April 12, so make sure you’re signed up! On social media, content passes through quickly. I tend to soak up my content in chunks of time, so I consult Twitters lists. You can view a list someone has already made and subscribe to it or make your own. This allows you to only view the topics you want to read about at any given time. When I click on one of these lists (shown in the screenshot below), I see a feed of tweets from like-minded sources lumped together by any given topic. Instead of logging in and viewing my normal Twitter feed, lists free me from scrolling through people’s rantings, food selfies, and tweets about their children. Subscribe to blogs and newsletters that you actually want to read regularly. I tried subscribing to every blog, news site, etc. that ever mentioned “influencer marketing,” and it was so overwhelming that I ended up not reading any of them. 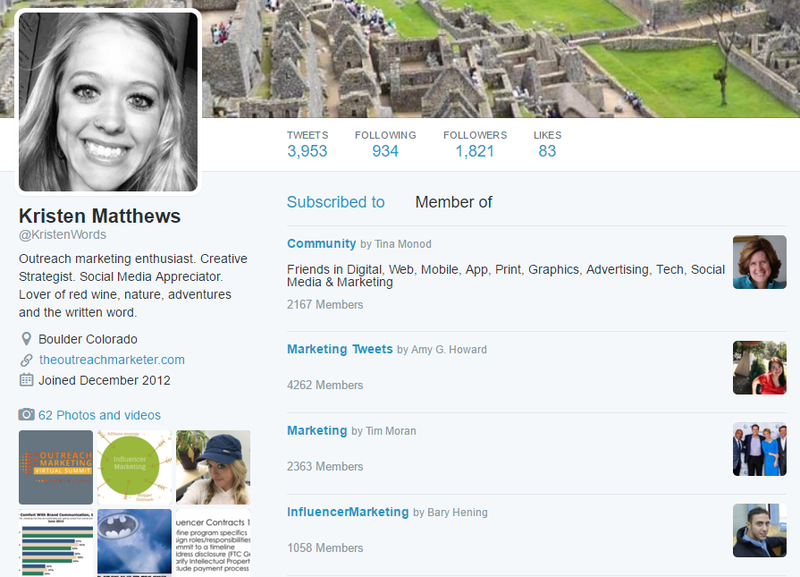 I scaled back and now only follow a few bloggers who specialize in influencer marketing. My three favorites are TopRank Marketing, Convince & Convert, and SpinSucks. I make it part of my weekly routine to touch base with all of my marketing relationships. I make it a point to know what they are doing in marketing for their brands and what they think of the results and current trends. Find some way to make sure you have a list of all of your “marketing friends” in a CRM or on a spreadsheet, and make sure to reach out periodically. This outreach can be anything from a “catch up email” to sending them a gift card for being awesome—just don’t forget to make sure your relationships are mutually beneficial! Savvy marketers can’t afford to let big news pass them by. Put these habits into practice to stay current, well-connected, and clutter-free.